After playing with writing since my late teens, penning amateurish short stories and swapping them with fellow Manc’ David Barber, we both realised we had a helluva long way to go. “Eccles Writers’ line” was formed, since we didn’t have enough members to form a “circle”. Shift work, marriage, kids (and naysayers! Ignore those ‘half empty’ buggers at all costs) made the dream more distant, but I kept stubbornly chipping away at novel attempts, reading ‘How to’ books, submitting anything and everything, and getting rejected en masse. Looking back, I reckon that’s exactly what’s required to hone the craft and build the necessary character to edge toward your goals with a solid foundation and realistic expectation. I hit brick walls at 41,000 words (oddly twice) with crime novel attempts, though this is all part of the steep learning curve. The partial breakthrough came after building up my knowledge of the writing business by lurking – then eventually joining in – on an online writers’ forum called Writers’ News Talkback. This later inspired a short story FORUM OF FURY which, along with many other short stories, featured on ezines then later in one of my ebook collections MANCHESTER 6. Confidence grew and my short stories began being accepted, most notably in the last three MAMMOTH BOOKS OF BEST BRITISH CRIME alongside some of my heroes, like Simon Kernick and Lee Child. A fateful meeting with thriller writer Matt Hilton ended with us co-editing the award-winning ezine THRILLERS, KILLERS ‘N’ CHILLERS. This provided a huge boost to the ‘platform’ that agents and publishers seek for prospective writers and I’ll be ever thankful to Matt. Consequently, New York agent Nat Sobel read and enjoyed one of my short stories (you never know who’s reading) and emailed me. The next eighteen months were taken up with late night rewrites and Nat ripping my manuscript to shreds! At one point (around 50,000 words) he said, “This ain’t working. Start again”! Exasperated, I really could’ve thrown the towel in, but didn’t. Eventually the manuscript was submitted both sides of the Atlantic and I received a string of ‘glorious rejections’, including enough positive feedback from top editors to spur me on further. I’m still friends with Nat, but he didn’t sell my ‘novel’. I considered self-publishing, though deep down receiving that validation of a “Yes” from the right publisher was massively important to me. Back at the proverbial drawing board, I wrote another ebook collection THE COPS OF MANCHESTER to keep my name bubbling ‘out there’ while revaluating things. I finally rewrote the crime novel based on the feedback and decided to try some smaller publishers myself. I carefully selected two from contacts I’d made at Harrogate Crime Writing Festival (can’t stress how crucial attending these events is). After a painful wait, one rejected it and the other, Caffeine Nights Publishing, accepted! As I write, MY KIND OF JUSTICE sits above Lee Child’s latest, at number 21 in the ‘Crime Bestsellers’ chart on Amazon UK. The sales are surpassing all my expectations and it feels good, and was worth waiting a quarter of a century for! Tenacity and talent (some at least!) is a formidable cocktail. And so, now I finally have the belief that some readers out there actually like my writing enough to buy it… I write another… and another… and will finally live that dream! 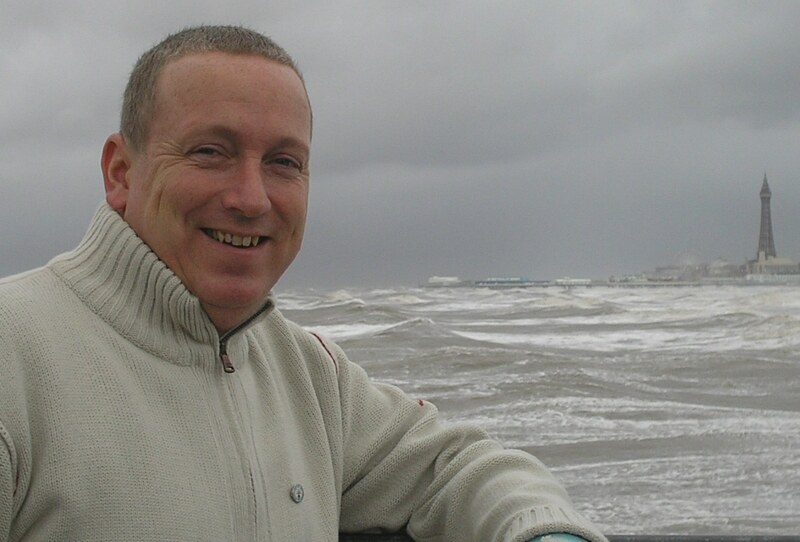 Col Bury is the former Crime Editor of webzine Thrillers, Killers ‘n’ Chillers, for which he was voted ‘Online Fiction Editor of the Year’ in a 2010 readers’ poll. His fiction has featured in many anthologies, most notably, THE MAMMOTH BOOKS OF BEST BRITISH CRIME 9, 10 & 11. 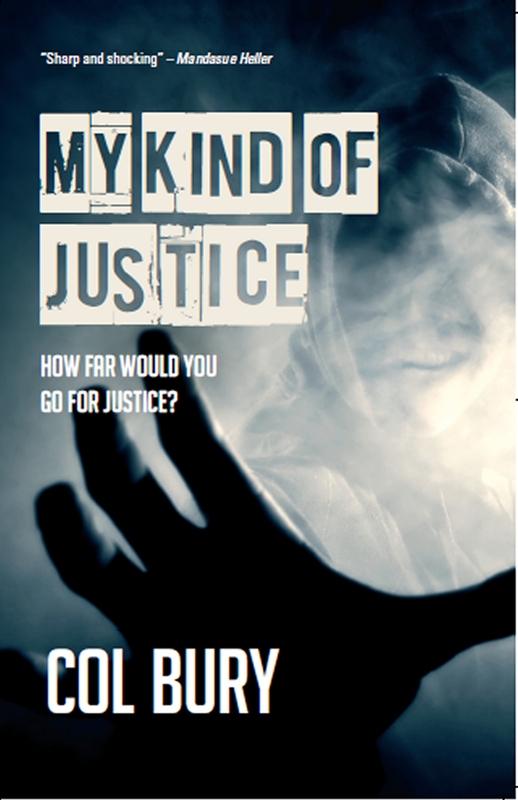 He is the author of two popular short stories collections, MANCHESTER 6 and THE COPS OF MANCHESTER, and his debut novel MY KIND OF JUSTICE has just been released via Caffeine Nights Publishing. Col lives with his wife and two children in Manchester, UK, where he reads a lot, enjoys action movies, shoots pool and watches his beloved Manchester City FC. This entry was posted in Uncategorised on 26th July 2015 by MJM-Ink. Thanks for having me, Michael. Classy site you have here, mate.